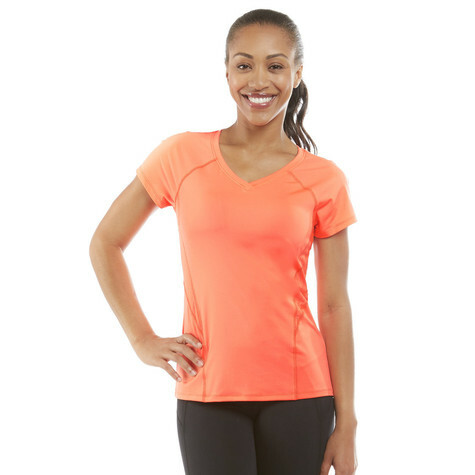 The Spark Tee is a v-neck short sleeve workout tee made from our signature Dry-Wik fabric to keep you cool and dry when you exercise. It features reflective print insets to keep you seen in the night. 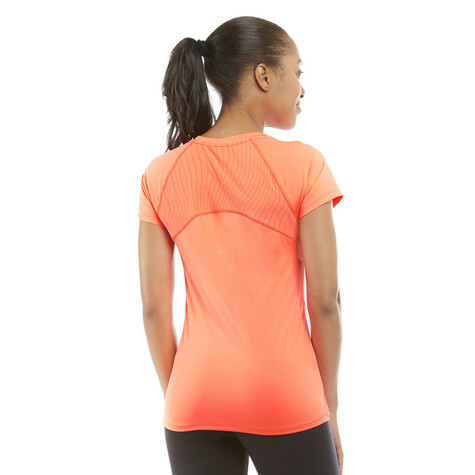 This semi-fitted fit tee will make a great staple for your workout wardrobe!